Located next to Goodwill on Neil Road across from Whole Foods. 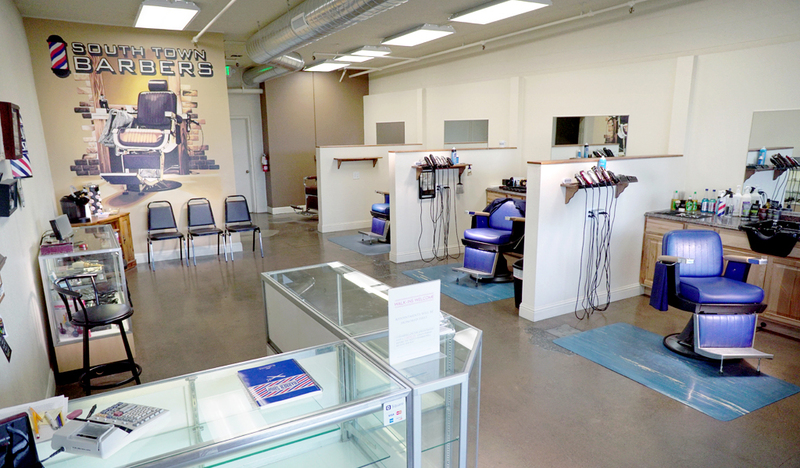 Welcome to South Town Barbers, Reno’s only traditional barbershop south of McCarran Blvd! Please be advised that after only two years in business, our customers have made us such a success that we are no longer able to accommodate walk-ins, please call ahead and schedule an appointment. We generally have same-day appointments available, however, the further you call ahead the more likely you’ll get the date and time of your choosing. We Do ACCEPT ALL MAJOR Debit and Credit Cards! 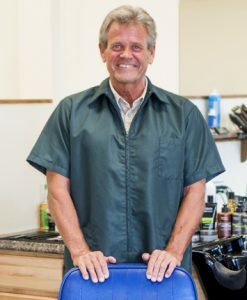 Richard was born in Chicago, moving to Reno in 1962, graduating from Sparks High, and has been barbering in Reno since 1978, owning several shops during his career. 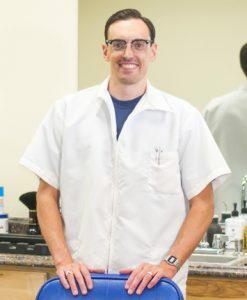 He specializes in classic barber-styling and is also outstanding with women’s haircuts and hair-coloring, he also performs all of the longer, style-cuts at South Town Barbers. Richard studied barbering under Master Barber Elton Pamplin, the 1971 Barber of the Year. Richard went to barber school at Rosston School of Hair Design in San Bernadino, CA. Steve was born and raised in Reno, graduating from Reno High in 2004. Steve served six years in the US Army with one deployment to Afghanistan in 2011, ending his service at Ft. Lewis, WA. He then went to barber school in Tacoma, WA and studied under legendary Master Barber and national champion Pete Lira at Thee Barbershop in downtown Tacoma before returning to Reno in summer 2015. 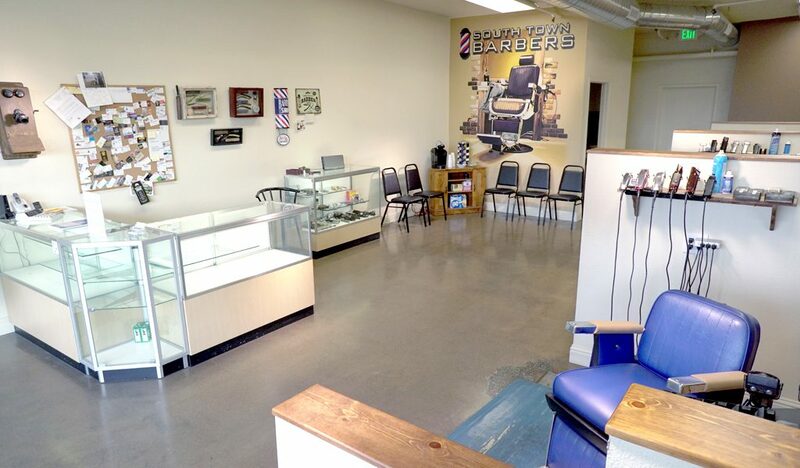 Steve performs all of the shaving services and flattops at South Town Barbers.